When I was 4 years old I went on holiday to Brighton Pier and got to ride inside a Dalek. I’ve never had one! My wife calls me ‘Battboy’ sometimes, which is about as close as I’ve ever come. But I don’t think I’m the sort to inspire a nickname. I think my greatest fear would be to get through the life and leave nothing behind me to be remembered by. I don’t believe in any sort of afterlife, so it seems a shame to live the one life I’ve been given and leave no progressive mark on the world. How many cool things can I cram into this story? Mad, unexpected, entertaining, absurd, subversive, delightful. Which is six words. Yeah, rocking the subversive! Aragon of Arathorn. My first, and greatest, hero. All of them! Why would you stop at one? HOW DID YOU GET SO FAT? I’m fascinated by polymaths—people who achieve brilliance in more than one field of endeavor. Perhaps my greatest fascination in that regard is with Spike Milligan, the genius writer, actor, comic, musician, poet, and activist. But I’m also influenced by David Bowie, Alice Cooper, Billy Connolly, David Hockney, and a plethora of others. I started writing for publication when I studied Creative Writing at University. I wrote obsessively for three years, and sold pretty much nothing, because the lessons I was being taught in my course bore very little relevance to the real world of professional writing. I spent ten years, after Uni, engaged in a range of pursuits like cartooning and stand-up comedy, before I realised that what I really loved about them all was the writing component, and I drifted back into writing short stories. I’d matured in the meantime: my first publications came reasonably quickly, and I’ve been writing ever since. Oooh, that’s a hard one. I don’t think I have just one. The wonderful thing about the English language is that it can be both accurate and picturesque at the same time, particularly when you think of homonyms and onomatopoeia and the like. And language evolves, so that words that were relevant and resonant a hundred years ago have completely fallen out of usage now. One of my favourite books is a dictionary of medieval colloquialisms, because the words are so rich and colourful. A word I discovered this week, that I just have to use in a story, is ‘gobslotch’. It means ‘a greedy, clownish person who is apt to gobble his food.’ How can you not want to use a word like that, once you know it exists? My favourite book of all time is JRR Tolkien’s Lord of the Rings. I read it for the first time when I was ten years old, and re-read it once a year until the movies came out. It’s unbelievably rich and deep. I could happily pore over it again and again. 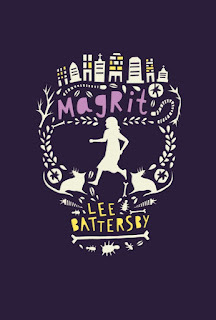 Lee Battersby is an author for adults and children living in Western Australia. His published work includes several novels for adults and more than 70 short stories. His latest book for children is Magrit, a junior/middle fiction novel published by Walker Books. 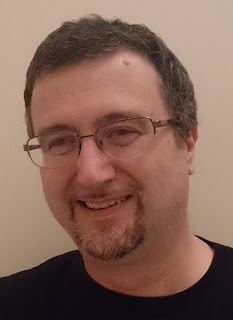 Visit Lee's website and Facebook page for more information about his writing and other projects.